Mozambique beach holidays offer you the perfect way to relax! The white beaches of the Bazaruto Islands, Quirimbas Islands, Vilanculos, amazing Inhambane and Pemba have made Mozambique beach holidays legendary. Small pieces of heaven where exclusive lodges and magnificent ocean views make everything right again, melting away your blues if you ever had any. Find a villa right on the sand where you can swim to your heart’s content, snorkel, dive and simply cruise around looking for whales. Make your beach holiday enquiry right here. Mozambique is the ultimate beach destination with something for everyone. This African destination boasts excellent water activities like diving, fishing and swimming, not to mention value for money fresh seafood and delicious prawns. On a Mozambique beach holiday you will discover beautiful island archipelagos to explore, water sports and adventure activities to try out, fascinating traditional markets, interesting cultures and vibrant nightlife in the cities like Maputo. It is clear why the Bazaruto and Quirimbas Archipelagos are rapidly becoming Africa’s hippest honeymoon destinations. For sheer romance, you can’t do much better than these tropical islands! In 2008, Azura Retreats Benguerra, on Benguerra Island, made it into Conde Nast’s Hot List – its easy to see why! And on Medjumbe Private Island, couples are usually blown away by the complete privacy and romance of this magical island setting. The food presents amazing new taste sensations, based on the freshest seafood and Mozambican flair. The staff are always caring, going out of their way to make sure couples never want to end their honeymoons. 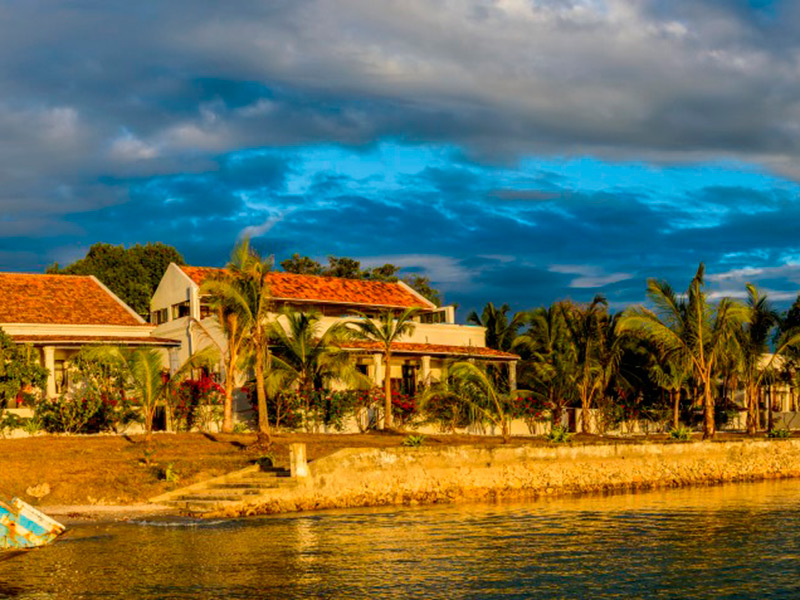 Have you heard of Ibo Island Lodge? If not, now is the time to go there – to wander through the rooms and out to the stunning gardens with their two swimming pools and blooming bougainvilleas. Sit on the rooftop deck to watch the fishing boats come in, cold drink in hand, as the sky turns coppery-crimson. A haven of peace is Ibo Island Lodge. In the rooms, guests are treated to outside showers, private terraces, quality linen and furniture. Now you can see why these magical Indian Ocean islands are also perfect for a Mozambique family holiday with plenty of things for kids to do, safe seas to splash about in and family-friendly accommodation – we even have a couple of Mozambique villas which sleep 4 to 6 people.